The Shred Belt’s new ground breaking technology makes it one of the best and most effective toning systems on the market. Iron Bull Strength is a well known manufacturer of gym products and is committed to offer new solutions to customers for attaining top fitness levels. 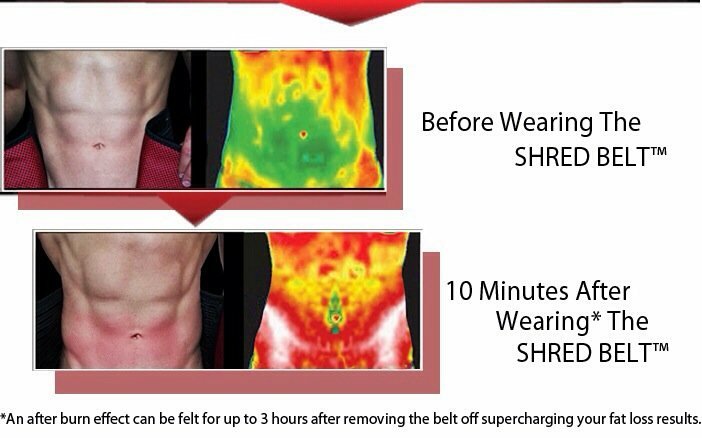 After a lifetime of research and analysis, the Company came up with its ground breaking product, the “Shred Belt”, which is not like your average EMS toning belt. The belts works on basis of heat and creates a strong thermogenic effect on the focused area to increase blood flow, allowing your body to reach and remove stubborn fat cells by amplified vasodilatation. The Shred belt works on anyone, no matter what your size, blood type, weight or lifestyle. The product comes with a 3O days Money back Guarantee along with a Lifetime warranty and is available on Amazon for just $89.9. • The Shred Belt unit. The Shred Belt looks pretty much like your average toning belt. It comes with a double Velcro waist strap with Secure-Closure which provides a fast and easy fit. 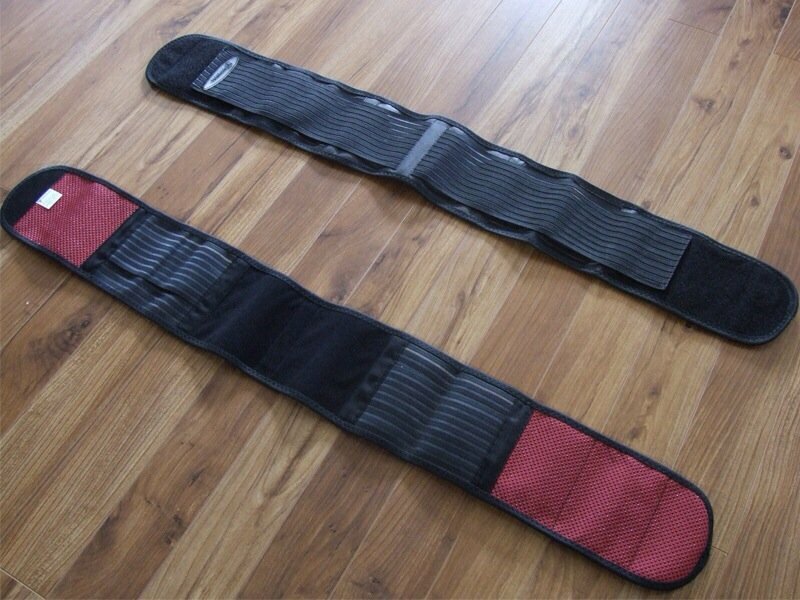 The Waist strap comes in Adjustable size that ranges from 32 inches to 45 inches. The Waist strap also holds the Electro Magnetic technology that is supposed to produce heat for the system. The belt weighs just 7 ounces, which makes it very easy and comfortable to mount and it rests firmly on your abdomen. The Question that might be bugging most of the readers is how can the belt work by just producing heat ? Most people might be thinking that the belt might just cause you to sweat, but it must be kept in mind that the Shred Belt is not just another sweat belt. The belt is not engineered to make you sweat or loose temporary size. In fact, the heat produced by Shred Belt in boosts your fat loss capability, by stimulating your body to produce more fat burning hormones and enzymes for fat mobilization. The belt is equipped with Electromagnetic technology (E-MAG™), which requires no external power source to work. The (E-MAG) causes vasodilation by thermal generation which effectively increases blood flow in your fat tissues. The increased blood flow expands your capillaries which enables nutrients with oxygen to efficiently remove toxins from your fat cells and ultimately eliminate them. The increased blood flow also helps to eliminate cellulite and restores elasticity of your skin. Why use the “Shred Belt”? The Shred Belts claims to do what is considered so far impossible. Spot reduction has always been a topic of great controversy in the fitness industry. It may indeed be impossible to burn fat from a single spot from the body at a time. But the “Shred Belt” has shown target shredding can be made possible. Your body burns fat during Catabolism. The reaction releases several fat burning hormones that travel in blood stream to induce lipolysis throughout the body to release stored energy. When you heat up any specific region on your body, your blood vessels dilate as a reaction to it, thus increasing the blood flow at the affected region. The process is called vasodilation, the principle that the Shred Belt actually work on. So nothing is really impossible, is it? The “Shred Belt” is a great product to increase your fitness but certain risks but be kept in mind. The belt should not be used if you suffer from blood pressure or heart problems or if you are allergic to silicone and neoprone. Pregnant women and children under 18 are also advised to refrain from the use of the belt. The technology behind this belt is simply brilliant. The product works on proper principles of science and human anatomy. The device although very effective will never work alone and would need the company of a regular workout to help you achieve your desired results. Owing to the device’s effectiveness, Burntech would definitely recommend it over other toning products.